This is a 2-part series that discusses how to deal with emotions, as well as why God has given us emotions and how these emotions if repressed can cause damage to ourselves and our relationships. Have you ever wondered why their are so many 40 year old teenagers? We have to understand that we grow and mature physically and mentally at different rates than we do emotionally. When emotions aren’t allowed to express themselves often due to a trauma at an early age, emotional growth is stunted at that age. That is why you will often hear psychologists say that a girl who is sexually abused at age 4, will often resort back to 4 year old behaviors when they grow as an adult if the emotions weren’t allowed to heal. Another important thing that represses emotions (stops emotional growth) is drugs, alcohol, or any other activities that divert, cover up, or avoid the expression of the emotion(s). That is why it is so important to go more in-depth about our emotions in order to understand why God gave us emotions and how they contribute to our overall well being. The first part of this series will involve gaining knowledge of the basic emotions, what they are, and give you the chance to identify with your own emotions so you can gain the emotional healing that God desires for you. Emotions are motors that are “turned on/or triggered” by something seen, heard, touched, tasted, smelled, remembered, or, by another emotion. These ‘motors’ give us data about our world, and signal us, by making us aware, that there is something happening that we need to notice, and then give or take energy, and/or information to help us change the situation. Ideally, the resulting actions are always under the direction of reason/will, and are to be considered in the light of the higher good. The action, prompted by the emotions, can either be profitable, or not profitable. Only the actions, not the emotions, are to be scrutinized by your belief/value systems. 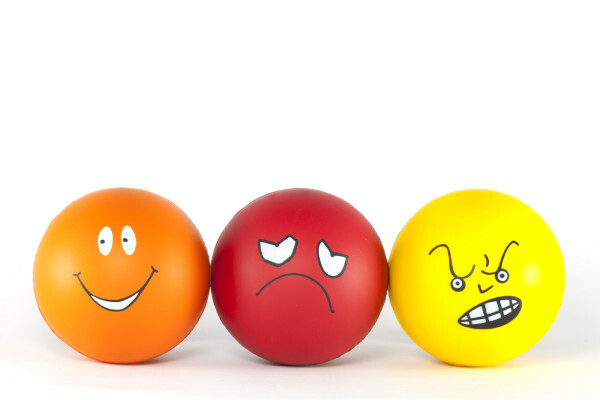 All emotions are a ‘good,’ because they each serve a function. They may be experienced as pleasurable, or uncomfortable, and the ‘prompter/cause’ may, or may not be a ‘good;’ but, the emotion itself is always for our benefit. It is extremely important, therefore, to distinguish between the emotion and the ‘trigger/cause,’ or we will not allow ourselves to fully recognize the pure emotion and allow it to perform its function. If the purpose of anything is unknown, abuse is inevitable. The emotions were given us us, by our Creator, for a purpose, and are part of the ‘very good’ in humaness. Knowing the purpose will help avert abuse, and will allow us to consider every emotion as a good in our life. Even though, some emotions do not feel comfortable, or we have ‘learned/been taught’ not to trust them, all emotions are part of our very being, and are for our good, not for our calamity. Their are 11 basic emotions that have been identified and each produces a physiological response. They can be divided up into 2 categories: Humane emotions (Love, Hate, Desire, Aversion, Joy, Sadness) which move us inwardly and Utilitarian emotions (Anger, Despair, Hope, Fear, Courage) which give us an impetus/energy to do something. Love – When we consider that something is a sensory good, comfortable and warm, a feeling that can facilitate acceptance, and usually stimulates a desire to have/or be with the ‘trigger’ of the love feeling. Makes relationships with, and affirmation of others possible. Hate – When we consider that something is not a sensory good, there is a feeling of coldness and a distancing. This emotion makes it easier to resist a situation, or a relationship, or an action. It allows us to sense destructiveness, sin, and/or cruelty, as not a good. Desire – Gives us an impetus to obtain a ‘sensory good.’ It is a form of energy, inside, that helps keep us striving after a perceived benefit or goal. Aversion – This is the other end of desire. It is experienced as a ‘pushing away’ from something/or someone/or someplace, not perceived as a good for me. Joy – Happy, joyful, fun, satisfactory feeling, usually experienced after we have obtained access, to a sensory good. Sadness – Slows us down, our countenance ‘droops,’ tears sometimes tell us that something important is being/or has been/or may be lost. Lets us know that we have considered a person/situation/object/relationship, as some form of good. By reminding us that we care about something, this emotion helps us to realize our humaness. Compassion is love coupled with sadness. We can empathize with our own, or someone else’s loss. Grief (sadness) is the natural caring response to loss. Anger – When we consider something unfair, we want to see it changed. The adrenal cortex is stimulated giving us energy to change something (even before we realize what it is at times). Some experience this as heat, tightness, etc. Despair – It seems that nothing is ever going to change. We feel weak, powerless, stuck, in a corner with no hope. Energy is gone. This emotion gives us an opportunity to admit we can’t do everything. It can move us to seek God’s power and help us not to be arrogant. Hope – A sense that we can overcome any obstacle. Nothing seems impossible. Hope activates the power to overcome. Hope is a great motivator. Fear – When we sense that something is threatening our well being, either physically or emotionally, blood pressure goes up and strength is made available for us to either overcome the threat, or get away from it (fight or flight). Produces a sense of dysphoria. Courage – Similar energy and strength, to that of fear, is made available to us to overcome, in spite of the threat. Doesn’t remove the threat or ignore the threat, it just gives us impetus to pursue the intended goal, while recognizing the threat (either sensed, seen, or felt). Produces euphoria. Click below to read Part 2! this is very impactful, thanks for posting it. I love it it’s very inspiring. I’m glad this was helpful Silvia :). Thank you for the information. Will do that and let you know. Sounds good Elia. Have a wonderful day!